Take The Girls To Dublin For A Night Of Food and Fun! Since 2006, Saba has been serving up great cocktails and tasty food with a buzzing atmosphere, which is why is one of the hot spots for group gatherings. A lively place that is nice and from Sunday through Wednesday each week, they have 2 course meal deal for €23.95 all night long. Las Tapas de Lola on Wexford Street. For the foodie group of ladies, this has been Dublin’s hottest restaurant since 2013. Perfect for groups, they serve authentic tapas at awesome prices that are served in small dishes to be shared. And when you top the meal off with one of their great wines, this cozy atmosphere is one you and your girlfriends will want to repeat soon. 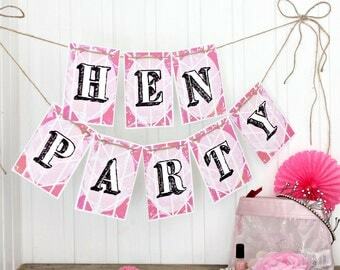 If you’re looking for a chic place to spend your hen night out, the Chez Max is classy, cosy, and very French! With classic French foods, wonderful wines, and soft music, this is where you get a little bit of class that allows you to catch up on each other’s lives. From Sunday through Thursday, they have an early bird special that offers two course meal for only €19. The Triple 7 is small and you must book ahead, but it is worth the effort! You’ll enjoy a night of tacos, tequila, and tunes. Make your girls night out on a Sunday, Monday or Tuesday and they’ll have some great specials. The Woollen Mills is a larger and less formal place than The Winding Stair and has an extensive menu of healthy fish dishes, hearty meat dishes, and everything in between. There’s also a comprehensive drink menu with cocktails, assorted craft beers and a list of different spirits and fine wines. This is a BYO place unless you like wine. Each person does need to order two courses from the traditional Irish menu. This is a great place for quality on a budget! If your girls night out is looking for fun and party, the Opium is the place to be. They serve some of the tastiest Thai and Vietnamese modern day dishes. But it is the buzzing cocktail bar that is the biggest draw. They are open late every night and have some of the best DJs in Dublin from Thursday through Saturday nights. If your girls night out is just for one glass of wine, Fallon & Byrne is the place to go. They have a wine cellar downstairs and a swanky restaurant upstairs if you decide to stay a little longer. This cosy place will make your feel like you’re in Madrid or San Sebastian. For a swanky cocktail bar, House is where you’ll forget about bills and paycut as you enjoy a reasonable priced tapas menu with prices ranging from €4 to €11. You can book your girls night out ahead of time, even if you’re just planning on having drinks only. A great place to catch up and relax. Finally, last but not, least on our list is Izakaya. If your group of girls have different likes, this is the place that has it all. Their menu has burgers and ribs, noodles and sushi. And their selection of drinks is awesome with a substantial menu of beers, cocktails, and wines. Enjoy it all while listening to some of the best DJs playing the best music in all of Dublin.